Since completing studies at The University of Newcastle in 1990, Chris Langlois has drawn acclaim with his epic landscapes. Chris completed a Bachelor of Arts, Visual Arts in 1990 majoring in painting and drawing, being joint winner of the Maitland Tertiary Art Award in the same year. He started exhibiting in 1989 and in 1990 held a solo exhibition at Watt Space, going on to exhibit solo shows in the next two years in both Sydney and Newcastle. Newcastle Region Art Gallery honoured him with his first major solo exhibition at a public gallery in 1993. In 2001, a large survey exhibition, Land Sea Sky, was held at Metro Arts, Brisbane that then the following year toured to Newcastle Region Art Gallery. Chris’s work has appeared in major curated exhibitions at Bendigo Art Gallery, Melbourne’s Monash University Museum of Art, Campbelltown City Bicentennial Art Gallery, Newcastle Region Art Gallery, Art Gallery of NSW, Glass House Regional Gallery, Port Macquarie, Gippsland Art Gallery, Lake Macquarie City Art Gallery, Shepparton Regional Art Gallery, Manly Art Gallery and Museum, Broken Hill Regional Art Gallery, UTS Gallery, S.H Ervin Gallery, Sydney. 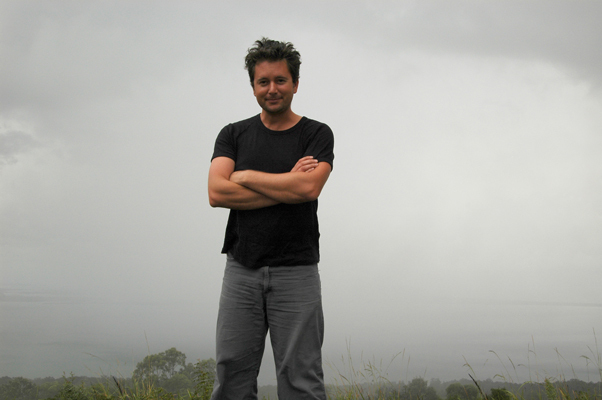 Chris Langlois’ work is represented in public collections including Bendigo Art Gallery, Newcastle Art Gallery, Campbelltown Art Gallery, Manly Art Gallery and Museum, Gold Coast City Art Gallery, Maitland City Art Gallery, Glasshouse Regional Art Gallery, Port Macquarie, Parliament House, Canberra, The University of Newcastle; University of Technology, Sydney, Artbank, as well as numerous corporate and private collections. In 2013-14, Chirs will have a survey show of his works co-curated by Simon Gregg and Katherine Roberts. It will tour to the Regional galleries of Manly (NSW), Gippsland (Vic. ), Hamilton (Vic), Orange (NSW), Lake Macquarie (NSW) and the Gold Coast City Art Gallery (Qld). He lives and works in Sydney. Chris has shown regularly with Legge Gallery in Sydney (1990-2000), Martin Browne Fine Art, both in Sydney and Melbourne (2001-2006), Nick Mitzevich Gallery, Newcastle (2001), and Rex Irwin Art Dealer, Sydney (2007 till present), Gould Galleries in Melbourne, Bruce Heiser in Brisbane and Amelia Johnson in Hong Kong.